We can learn about life from just about anyone, but a worm? 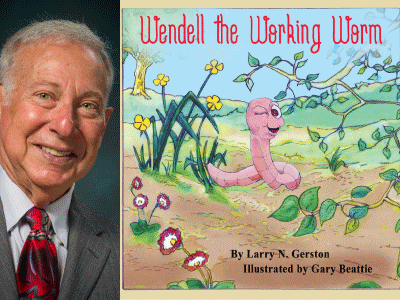 Wendell might be a worm, but he has feelings like the rest of us. Surrounded by others who boast about their importance, Wendell the Working Worm doubts his own value. Fortunately, his friend Oliver the Wise Old Owl reminds Wendell that his talents are among nature's most prized assets. Like everyone in life, Wendell is special, too.